Protesters rally earlier this year for the Women’s March on Chicago. On Tuesday, the Illinois House passed a bill to protect abortions and allow tax money to go toward the procedure. The Illinois House passed legislation Tuesday that would protect access to abortions and allow tax money to go toward the procedure. The bill — introduced by state Rep. Sara Feigenholtz (D-Chicago) earlier this year and co-sponsored by 24 other House Democrats — passed 62 to 55 and protects access to abortions in Illinois even if the Supreme Court overturns Roe v. Wade. The bill also allows state employees to use health insurance for abortions and for the use of Medicaid funds to cover abortion procedures. 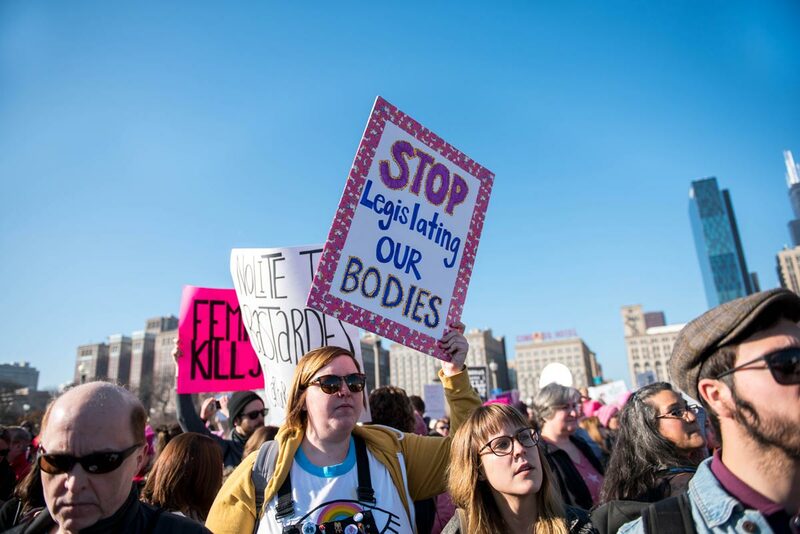 The bill passed as people gathered outside the state capitol building Tuesday for the Illinois Women March on Springfield. Senate President John Cullerton (D-Chicago) vowed at the march to pass the measure through his chamber. Gov. Bruce Rauner, who has previously supported pro-abortion rights legislation, pledged earlier this month to veto Feigenholtz’s bill after pressure from his Republican colleagues. The bill repeals a “trigger provision” from 1975 that said Illinois would make abortions illegal if Roe v. Wade was ever modified. Illinois House Republicans unanimously voted down the bill, along with five Democrats. State Rep. Robyn Gabel (D-Evanston), who co-sponsored the bill, told The Daily she believes all women should have access to reproductive health services regardless of income. Rauner has previously signed legislation that expanded access to birth control and required physicians who refuse to perform abortions to inform patients of other doctors who will perform the procedure. Rauner and his wife have also been listed as $50,000 sponsors for a Planned Parenthood of Illinois fundraiser later this week. Paul Caprio, director of Family-Pac, a lobbying group in Illinois, said in a news release earlier this month that he commends Rauner’s decision to oppose the bill. “It’s clear that the majority of Illinois voters oppose the use of their hard-earned tax dollars to fund abortions at a time when Illinois is facing a fiscal crisis, regardless of their personal views,” Caprio said. Feigenholtz said Rauner should consider the needs of women struggling to access reproductive health care. “Governor Bruce Rauner is clueless about what women go through when trying to access reproductive health care in Illinois,” Feigenholtz said.